I don’t have a problem with CBS. In fact, I don’t have a problem with their formula. Sometimes, it makes for great television—The Good Wife. Sometimes, it makes for entertaining television that doesn’t aspire for greatness but can be a lot of fun, even in its worst episodes—The Mentalist. And sometimes it makes for shows that just aren’t for me, but I can see why people are so obsessed with them—NCIS. The point is that when people deride CBS, I can’t really get on board with that criticism. The network’s a behemoth, yes, and it’s easy to hate, but the shows that have the guts (or the ratings) to go against the CBS formula have some interesting stuff going on that makes them worth watching. Anybody who’s seen the Good Wife episode from a couple of weeks ago or the Mentalist finale from last season wouldn’t have trouble marking both as solid, quality television, I would think. But when people complain about “the CBS formula,” they’re talking about shows like A Gifted Man, a show with a goofy premise but solid actors and good pilot writing that, nonetheless, turned into the most boring medical procedural around. Outside of a couple of outlier episodes, this one’s been stuck in storylines that are so boring that they avoid more interesting formulas in favor of less interesting ones. Case in point: In tonight’s episode, Rita’s son, Lenny, Jr., returned from the war (I don’t think the show specified, but I’m going to assume Afghanistan, because TV doesn’t talk about Iraq anymore, even with conflict there winding down), and he got in a car accident. It seemed likely to me this would turn into a story about how he was suffering from post-traumatic stress disorder and didn’t want to go back to the front or whatever. And it skewed so, so close to that before ultimately turning into a much more boring story about how Lenny, Jr., like Dennis over in the other storyline, didn’t want to be kept alive through technical means. So then it became another boring story about Michael trying to be a good person or whatever. Ugh. And here’s another problem: This could have so easily been a great story about Rita and her family. And instead, it was just another story about Michael. I get that making sure the audience understands the protagonist and where he’s coming from early on in a series is important. I get that without a protagonist, the show would probably flounder, and I get that the CBS formula is built around one, strong alpha male that holds down the center of the show, so we don’t have to worry too much that the bad guys (or, in this case, the brain hemorrhages) will triumph over good and keeping people from being killed by brain hemorrhages. But the best shows in this format expand and tell us a little more about the other characters beyond the central one, usually fairly soon. But what have we learned about anyone who isn’t Michael on this show? We know quite a bit about Anna, I guess, but she’s dead (and was barely in this episode). This would have been a golden opportunity to get to know Rita and her husband (Tom Wopat), but both were reduced to props in Michael’s storyline. We know Dr. Kate is married (and Michael seems pretty pissed off about it in tonight’s episode). Other than that, we pretty much just know… what we knew at the start about everybody. This wouldn’t be such a problem if the character evolution for Michael had been any better. But instead of a gradual, steady evolution into a guy who’s a better person, the show just reverses itself at the start of every episode to reverse itself. One of tonight’s side conflicts revolves around whether Michael’s going to go to Thanksgiving at Clinica Sanando, but it’s hard to over-state just how ridiculous this all was. Rather than having Michael have to choose between some ritzy, rich person Thanksgiving and the Clinica Thanksgiving, they instead had him all but say, “I HATE THANKSGIVING!” and knock a plate of pumpkin pie out of Dr. Kate’s hands before coming around by the episode’s end. I mean, you knew he was going to turn it around because that’s the kind of show that this is. There’s no real reason to turn him into Ebenezer Scrooge on a weekly basis because forcing false conflicts gives you something to do other than boring medical storylines. And oh, are the medical storylines boring! The show is finally branching out from brain injuries, since tonight’s episode featured Vondie Curtis Hall as Dennis, a guy suffering from what-seems-like-lung-cancer-but-isn’t. He doesn’t want to be saved, just like Lenny, Jr., sort of doesn’t (though Lenny, Jr.’s desire to not be kept alive by machines is more understandable than Dennis’ desire to… not be kept alive). And why doesn’t he want to be saved? Why on Earth would he mention his “heart,” when his actual, physical heart doesn’t have anything wrong with it? Could it be that the English language has multiple meanings for “heart,” and at least one of them is symbolic? Could it be that Michael and the other doctors have emotional holes where their souls were supposed to be? Every medical storyline on this show boils down to “there’s a personal problem that is keeping the person from embracing treatment,” and that wouldn’t be so bad if it weren’t so clumsy. Here, Dennis had a daughter—Kelly—whom he had had a bit of a falling out with. His wife had died from lung cancer, see, and before he would let the doctors operate on him, he had to reconcile with her. I appreciate that the show is trying to tell stories about people from all classes and all walks of life, but do they always have to be so boring, as this one is? I guess so. So, yes. I’m done with A Gifted Man. I’ll keep watching, but with the show only getting three additional episodes ordered, it seems likely that this is one CBS will let play out the string because its ratings aren’t so atrocious that it can be canceled straight off, but it also seems likely that this one won’t see anything beyond those 16. This is a show that’s dead, even if it hasn’t quite realized it, and it’s dead because it refused to break from formula or follow the formula in the most interesting possible way. 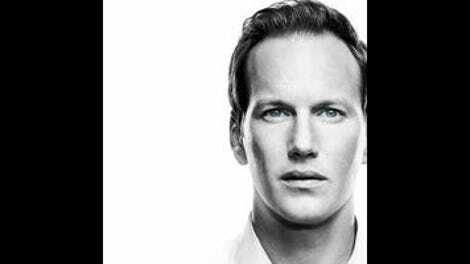 There’s nothing wrong with formulaic if the scripts are sparkling and the actors are fully committed. But at any given moment in any given episode of this show, it sure seems like everybody’s got one eye on the door. Rhys Coiro’s performance as Dr. Zeke is so amusing and weird to me. I like the way that they seem to be trying to build a love quadrangle among him, Dr. Kate, Mike, and Dr. Kate’s husband. I like the way that he stares forcefully at things. I like the way that he hung out with his old mom for Thanksgiving, and we were supposed to find that shocking, I guess. Oh, Lenny, Jr., swerved to avoid a piece of trash he thought was an IED. Topical! 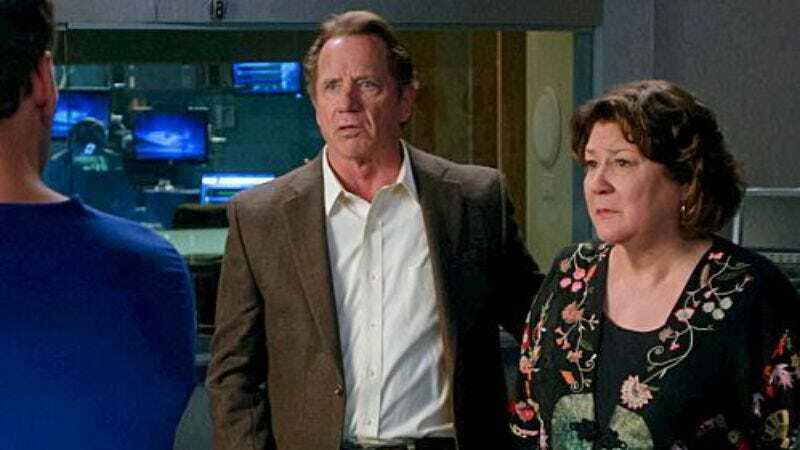 I would watch a show with Tom Wopat and Margo Martindale as the leads. They could even do something as prosaic as solving mysteries. A show about a middle-aged couple that solves mysteries in its spare time could be a lot of fun, actually, if written well. “You’ll need a moon gun,” she said, wheeling her chair toward yet another table covered in scrap metal and sparking wires. “A moon gun?” Frank said. He’d always liked Kim, even after she’d been fired from the CIA and moved her mobile tech lab to the back of a HyVee. “You don’t think you can fire an actual gun without an atmosphere, right?” She laughed and tossed him a tiny pistol. “She’s not speaking to me.” He hung his head, shielding his bitter tears. He had screwed it all up. A dull rumble erupted in the space. She looked toward the ceiling in terror. Snow, everywhere! The lab was buried by an avalanche.